Real Estate – Brokers or owners can present a unique perspective that captivates potential buyers. The National Association of Realtors reports that 73% of sellers would prefer a real estate agent who could market their property with video. More benefits of real estate video here. Website Presentations – Including video on your web pages greatly increases time spent on the site and enhances search engine rankings. Infrastructure Safety Inspections – Bridges, buildings, new construction, etc. can be viewed and recorded from any angle safely and quickly. Media – Aerial video work can be extremely valuable for news gathering, providing overhead views of ongoing situations. 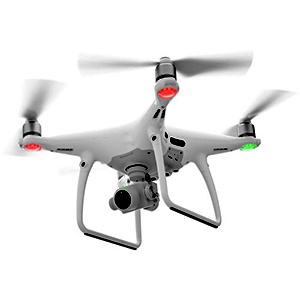 Events – Drone aerial video and photography can enhance video presentations of weddings, sports events, birthdays, concerts and more. The list could go on to include search and rescue, agriculture, cinematography, advertising…again, the sky is the limit! Clearwater Web is FAA licensed and holds the Remote Pilot Airman Certificate, required for all commercial operation. We are also fully insured for all aerial operations allowed by the FAA. We service all of north Idaho and eastern Washington, including the towns of Sandpoint, Priest River, Sagle, Coeur d’Alene, Spokane, Newport and beyond. 1. Onsite Work @ $90/hr. A. Aerial video shots: 1– 2 hr. B. Aerial still shots: ½ – 1 hr. 3. Travel within 20 miles included, $.54/mi. thereafter.